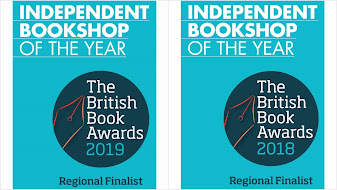 On Wednesday afternoon, one of our customers came in excitedly saying that there had been a piece on Radio 4's You and Yours about Independent Bookshops. She said the programme made the point that Alexander McCall Smith would not have achieved the success he did if he hadn't been championed by an independent. So yesterday I managed to listen to the programme courtesy of the beeb's listen again service (I guess it will stay on the website until this coming Wednesday). It's about 8 minutes in. You should go and listen to it, it's very interesting. It was also a bit of a stitch-up job. After an extended intro about the Number 1 Lady's Detective Agency, there were a number of grim stats about the decline of the independent in terms of market share, and then the redoubtable (and formidable) journalist Liz Barclay got to quiz Chris Conway (of the Book Partnership) and Paul Henderson (or Leading Edge). Liz first wanted to establish the context of this decline, starting with the Net Book Agreement. She then did an excellent job of batting away every reason put to her about the value independents bring to the world of books. The advent of the supermarkets and Am*zon: good news for the consumer says Liz. Chris countered with the loss of diversity - independents 'nurture not just 'fulfill' - Liz says "well, chains do recommends and they stock local books". Liz sounds a bit non-plussed - what's the problem here, she seems to think, why the big fuss about independents? Well, how are independents fighting back? Paul Henderson chips in with how Leading Edge Books can help, by essentially 'bulking' orders from buying groups of independents to get the 'big discounts'. But (says Liz), doesn't that compromise their independence? Aren't they just buying the same books as everyone else? Good point Liz. And Chris Conway agrees - you play a dangerous game when you start playing on the opposition's playing field. It's actually worse than that Chris - in their 'nurturing' role, independents often sell books at the RRP, and often give the publisher a bigger slice of the cake. Liz may be appalled that consumers aren't getting a good deal (after all, this is a consumer rights programme, and cheap books are surely unequivocally good?). But independents nourish the supply chain. More money goes back to those publishers backing these different books, allowing them to invest in more new authors, and increasing the range of books on offer to the consumer. It's called enlightened self-interest but it requires a slightly longer-term view than currently seems fashionable. In the context of the book publishing eco-system, cheap books simply emaciates the entire supply chain, threatening the smaller players. Taken to extremes, the only publishers who will survive are those that 'get big quick' and essentially become the 'Tesco' of publishers, etc. I don't want to come over all 'Crockatt & Powell' here, but the programme really wound me up. I thought Chris Conway did his best to put over the case for indies. Aside from the 'will this do' approach to the whole programme, there were several words I didn't hear at all: community, experience, involvement. To complete Chris's point, the mechanism that rewards bookselling rather than fulfillment is called "the market". More specifically, the local market. 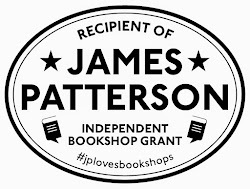 If you want to know what an independent needs to do to survive, check out Andrew Stilwell's piece in the Guardian last month about the London Review Bookshop. If you were about to embark on a new bookshop, listening to Radio 4 this week may have left you utterly depressed. But the success of the LRB is joyous to read. And in case you think he makes the case that the only successful independents have to be highbrow, I don't think it does. What it does say is: understand your local environment, marketplace, customers - listen to them, work with them, put on great events, develop a community, give them an excellent experience - and the enterprise can flourish. Well said, Mark: an excellent critique of both the programme and the arguments. Suggest you send it to the Bookseller magazine, the FT, the Guardian etc. Your arguments deserve to be "out there." Well put Mark. Couldn't agree with you more. You guys do this stuff far, far better than me. And I've only been in the trade a couple of years, I don't feel the right to get angry about a lot of stuff. I've never heard the "nourishing the supply chain" argument before. It's really brilliant. Publishers earn more when they sell to indies! So, they can afford to publish better books. Wow. That is brilliant. I like to make the point that the only reason publishers CAN afford to sell to the chains and supermarkets is because indies are paying higher prices to the publishers, thereby subsidizing the bargains being given to the chains. No indies, no chains!! No indies, no super-cheap prices via chains and Amazon!! The whole industry is living off the indies (and an increasingly poor living it is, with the loss of indies). I visited the LRB shop last week for the first time and was immediately won over. Extraordinary that they can stock their fiction shelves almost exclusively with interesting stuff - the sort of bookshop I would love to run in my dreams. As for the point about Leading Edge diminishing the individuality of indies, well, yes and no. Indies will still be able to buy local titles which are of exclusive interest to readers in the area, but as far as less mainstream fiction goes, why would someone in Cornwall necessarily be interested in different stuff than someone in the Scottish Highlands? For many avid readers these days, their recommendations come from blogs like this one, which are geographically neutral.